If you need a quick hostess gift or want to add to your kitchen line up, today’s class is perfect! 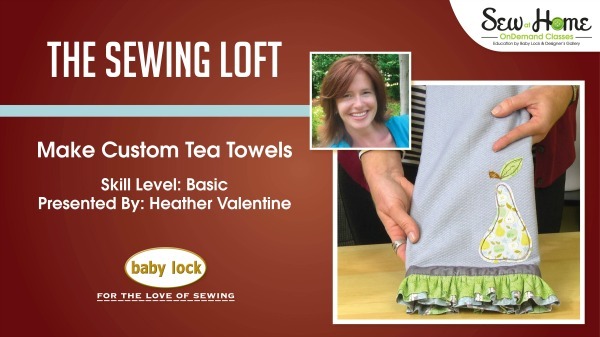 This tea towel class is the latest installment of the Baby Lock Sew at Home video series. 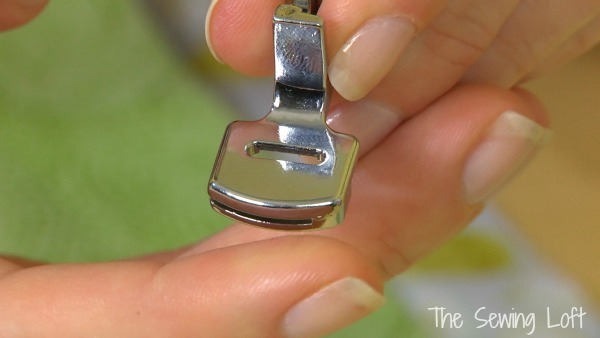 During class I will show you how this funny looking “starship enterprise” looking foot also known as the gathering foot can create the most beautiful ruffles in one pass on the machine. We’ll get playful with free style stitching, add some decorative trim and I’ll demonstrate just how easy it is to achieve the perfect length ruffle every time- No measuring required. Here is a quick sneak peek of what we will work on in class. So, let’s become better sewers together this year and learn how special accessories like the gathering foot can showcase our talents. Come stitch with me and make this Tea Towel. 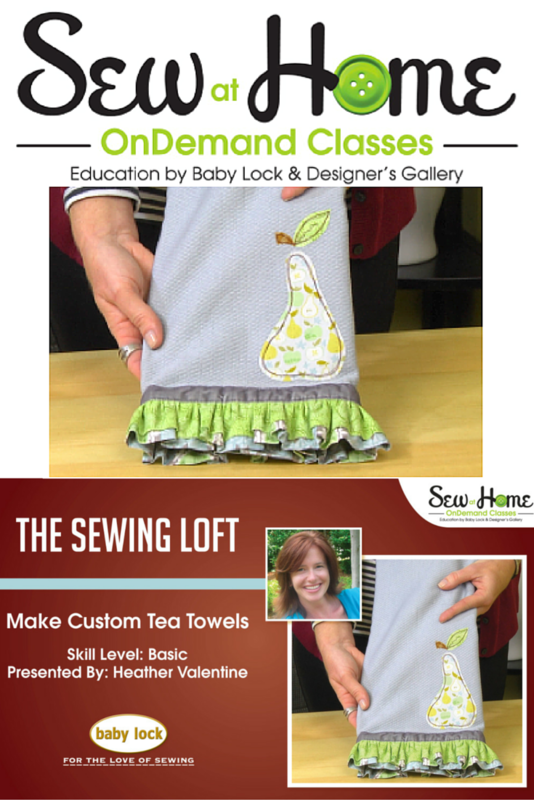 You can download the pattern watch the class for free today. Click here to join the class today. ps- don’t forget, you can check out the rest of my video classes here. If so, I’m glad you stopped by and hope that something has inspired you to keep your needle moving! Don’t miss a single project and subscribe via email HERE! Bonus- free download with newsletter sign up. Another great way to connect with me is via Facebook, Pinterest, Google+ or Follow along with Bloglovin. I’m looking forward to getting to know you and creating together!